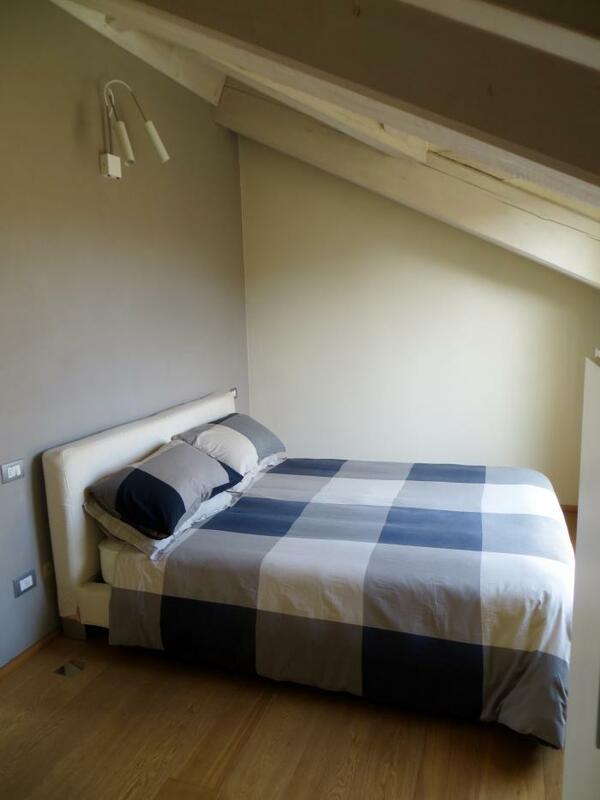 Our apartment is a modern penthouse located in the old town centre of Treviglio. Access from the ground floor is by lift from Via Roma. 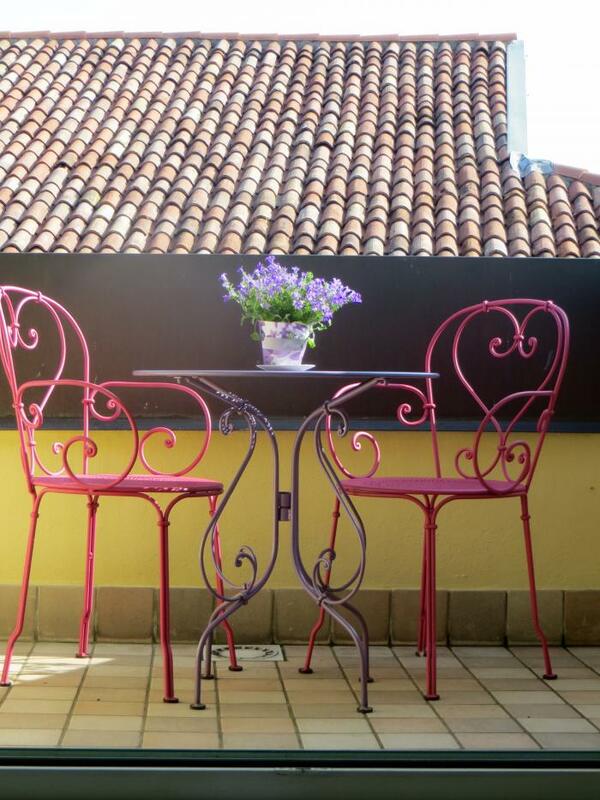 The apartment is air conditioned and equipped with all modern comforts. There is a double bedroom and an additional area with settee bed that may be screened off, one bathroom with shower, and equipped kitchen with dishwasher, oven, fridge, iron and washing machine. Internet access is available, TV, and Bose sound link. Comfortable furniture throughout. 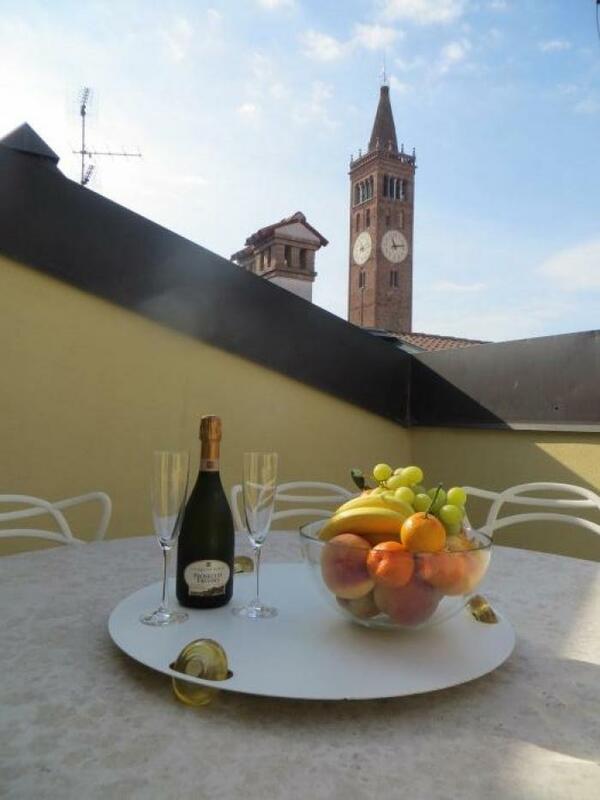 There is generous indoor living with a relaxing environment, two large and two small balconies for eating and enjoying outstanding views of rooftops including 800 year old clock tower. Single car park in basement garage. Treviglio has a population of 30,000 and is located in Lombardia province in Northern Italy. Access to local train station is 12 minutes walk, and time to Milan is 30mins. The town centre has restricted vehicle access and cycling/walking is the norm. Excellent swim facilities and clay tennis courts within walking distance. The countryside has many cycle paths. Throughout the summer there is an active programme of street festival music and entertainment. There is a large market on Saturdays. If you wish to sample true Italian village life, food and wine without the tourist tag you will not be disappointed. About I am English and moved to New Zealand 7 years ago when I married my 'Kiwi' husband. We both still work as Nurse and Quantity Surveyor respectively, but enjoy holidays travelling back to England/Europe. We are outdoor types enjoying a wide range of activities including golf, walking, cycling, tennis and swimming. 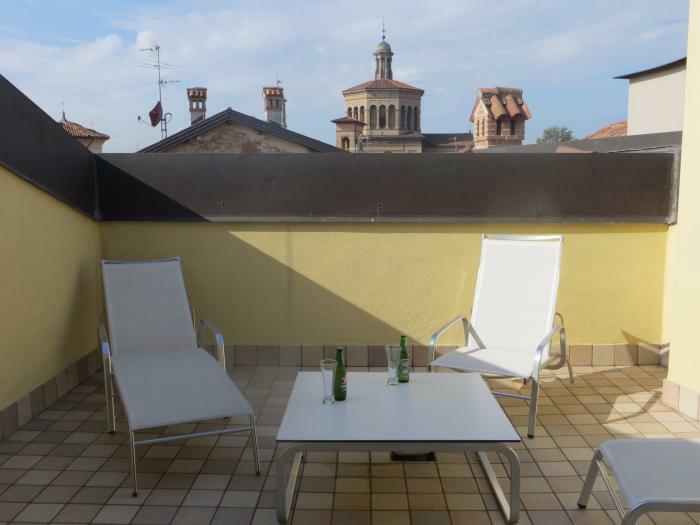 We use our Treviglio apartment to relax and soak up the wonderful Italian culture and cuisine and as a base to explore Europe.